Gorgeous & Contemporary! 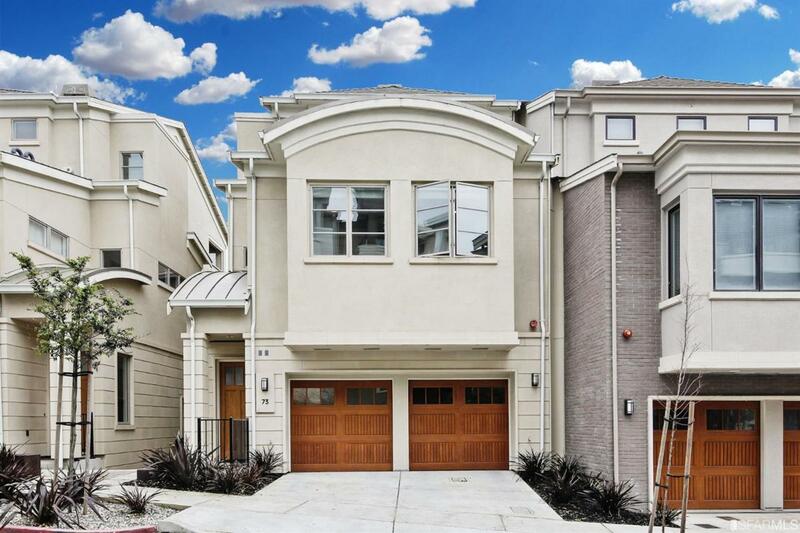 This spectacular 3-level 3BD/2.5BA townhome at Summit 800 was built in 2015 and is located near a tranquil Lake Merced Community with golf course views, includes a two-acre park w/children's playground & dog park. Residence features many impressive upgrades such as high ceilings, beautiful hardwood flooring & carpeting, master suite with walkout to private lanai, chef inspired kitchen w/Viking appliances, large built in stainless steel refrigerator, double oven, 6 burner gas stove, bathrooms with double sinks, walk-in closet, tankless water heater & 2 car tandem garage. HOA $300/MO. Walking Distance to Lake Merced, Stonestown Galleria, Parkmerced Shopping Center, Top-Ranked Schools, and public transportation. A Must See! Listing provided courtesy of Patrick Lam of Century 21 Real Estate Alliance.